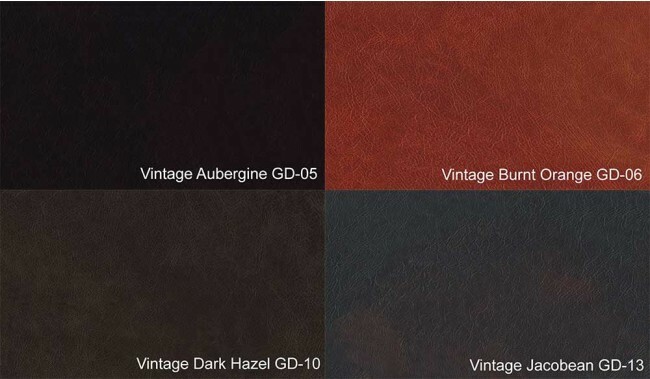 Please choose your luxury top grain vintage leather finish colour for your sofa. Samples are availble to order at bottom of main description. The deep seated Burlington 3 seater is the essence of comfort and opulence, available as a singular piece for the room or as part of a set with the corresponding 2 seater and armchair options. This brand is produced using the finest top grain leather, which is then traditionally hand worked to give an aged pattern, while retaining a high resilience to scratches and abrasions. Available as a standalone piece or with corresponding 2 seater and armchair. Frame: Solid wood frame throughout, glued, screwed and re-enforced at all structural areas. * 5 Year Guarantee Applies. Upholstery: With reflex foam and duck and goose down filling to create a shaped however cosy and comfortable cushioning. Feet: Quality hardware and fitting. Feet attachment may be required. Please add Platinum delivery at checkout for a full service delivery, unpacking and leg attachment. Hardware: Solid brass fittings aged sympathetically with the style of these items. 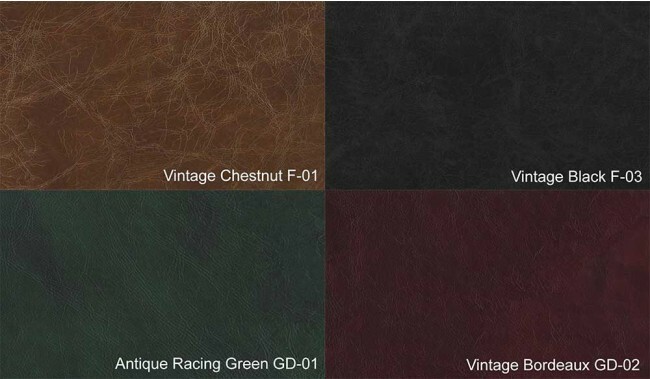 Leather Samples are available: Order here. Available in 8 hand distressed top grain leather option. Hand crafted Antique leather sofa with classic good looks and super comfy with its mix of foam and duck and goose down fillings and luxurious hand aged top grain leather throughout. The leather is traditionally worked by hand to create a Antique aged leather that has a rich patena and soft, supple and scratch resistant. Antique Leather: Hand distressed top grain leather at least 1.5mm thick. A 100% Natural material which will conform to your body and reconstitute with usage. Highly durable and comfortable. 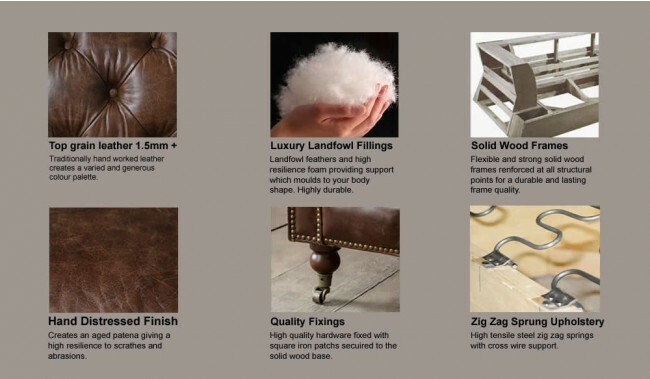 All surfaces are top grain leather including the base back and sides. **Please use leather care kits including leather cleaning and leather cream to ensure the maximum lifespan. Samples Brand reference: Charleston - click here to order samples. 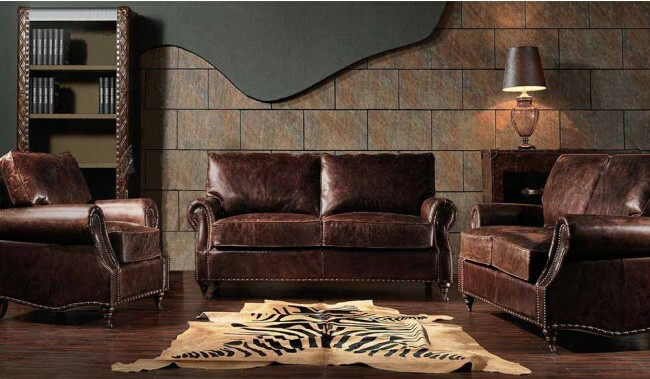 Hand crafted vintage leather sofas with classic good looks. Extremely comfortable with a mix of foam, duck and goose down fillings. Luxurious hand aged top grain leather throughout. 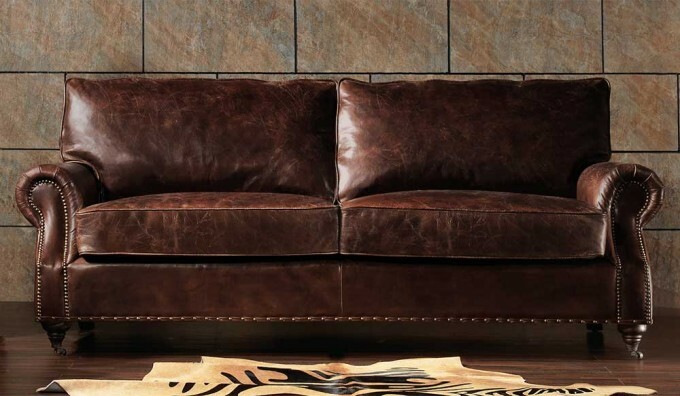 Our vintage aged leather sofas have a rich patina and is soft, supple and scratch resistant. The leather is traditionally worked by hand.